Achtung! 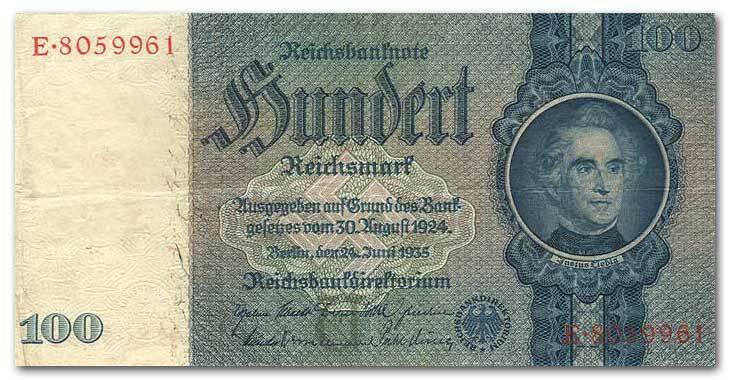 Now is beginning the moneygermansitepart. I suppose some of these might not be German; they could hail from various parts of the Krautosphere, but for our purposes they’re German. Behold: one hundred Reichsmarks. Gosh, that’s a lot of money, isn’t it?